What is our approach to prayer? Pray-as-you-go was produced by the Jesuit Media Initiatives through the generous and freely given support of many people and organisations. The site provides reflective music and prayer forms which can be downloaded free from in either MP3 or WMA (Windows Media Audio) format. Permission to use image sent 17/5/2013. "The Light a PrayerCandle site allows us to practice this prayer ritual where we are, at the same time seeing and sensing the ‘cathedral’ of our wide community. It honours the sacred prayers of each of us, even as it reminds us of the power and presence of all of us". Permission to use logo received by Greg Sunter, 29/4/2013 via email. This site provides an online prayer space to pray with St Mary MacKillop. You can post or read prayers, virtually tour the Mary MacKillop Chapel and visit the tomb or read daily reflections. Permission to use the image requested 4/5/2013. Daily Prayer Online provides the readings of the day as well as reflections on the daily Gospel in text, and mp3 format. There is also a quiet space for reflection, thought for the day and prayer ideas for the classroom liturgy. "As a Jesuit Ministry, we strive to help you find God in all things and develop a deep, personal relationship with Christ." This site provides many resources for prayers, meditations eg the Examen, 3minute meditations and school resources. . Permission to use image requested 5/5/2013. 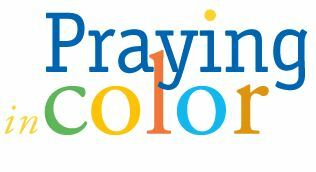 "Praying in Color started for me as a way to pray for others. Then it morphed into a way to give thanks, confess, complain, be with scripture, spend time with God…. These variations have all been helpful to me." McBeth April 2016. Catching Fire is the name of the Brisbane Catholic Education Spiritual Formation Framework. Catching Fire is also a metaphor for our fundamental evangelising purpose: to help the world be ignited by the transforming reality of God’s love and Jesus’ vision. Membership to the site is freely available to staff in Catholic schools and other Catholic agencies. Gratefulness.org provides education and support for the practice of grateful living as a global ethic, inspired by the teachings of Br. David Steindl-Rast and colleagues. Permission to use the image received 5/5/2013 by Kerry Howells, Sense Publishers via email. Spirituality for Today is an interactive monthly magazine dedicated to a variety of current themes and questions concerning the Christian faith in this postmodern age. Permission to use the image requested 4/5/2013. 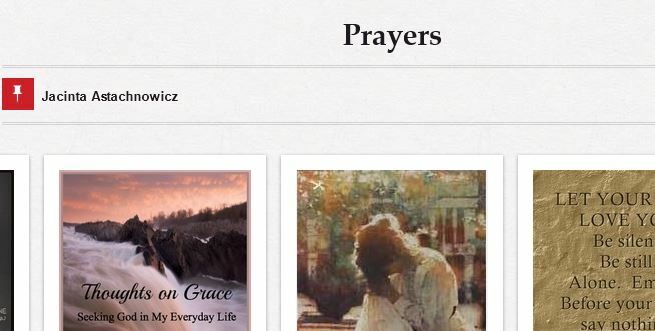 Created by Jacinta, this Pinterest page offers a range of prayer resources for teachers. This Flibpoard page offers a selection of articles curated by Jacinta on the topic of Spirituality. This site is an informative Christian youth website by Youthworks that publishes daily articles, reviews and video content for teens.It is suitable 13-18 year olds who are Christians or are interested in learning more about a Christian worldview. "This collection features those prayers important to every Catholic, daily prayers such as the Our Father, the Rosary, and the Act of Contrition. There are also some lesser known ones here that are quite beautiful and inspiring, along with many prayers to and from the Saints." This is an online site which allows people to pray the Rosary together. 3-Minute Retreats invite you to take a short prayer break right at your computer. Spend some quiet time reflecting on a Scripture passage.Knowing that not everyone prays at the same pace, you have control over the pace of the retreat. After each screen, a Continue button will appear. Click it when you are ready to move on. If you are new to online prayer, the basic timing of the screens will guide you through the experience. Meditation, in the Christian tradition - contemplation, the prayer of the Heart - is forming a world wide community. Through this website, you can can learn about the tradition, how to meditate, how to find a local weekly group, where to go on a Christian meditation retreat, browse our audio and video channels, get books, DVDs, and weekly resources. Permission to use the image received 18/5/2013 by Ciao Adriano via email. Created by Sr Kym Harris, this site offers a Sunday's prayer program, the opportunity for you to share your reflections and/or to submit a prayer photo. Permission to use image received 22/5/2013 by Neil McDonald. Online sites for creating visual images of writing can provide opportunities for students to reflect on themselves, their abilities, their values, their feelings and especially their life's purpose. They may also assist students bundle their prayer into visual clusters. Wordle allows you to insert text and then it creates a word cloud based on the frequency of which words appear in the text. You might like to invite students to write personal prayers or research different faiths and prayer and then copy and paste the text to create a word cloud. Tagxedo is similar to Wordle with a few other features. You can select the shape of the cloud and even paste a URL, Twitter feed or Delicious ID and it will generate a word cloud. Also, if you hover over the words in the cloud it enlarges them for you. PicLits.com is a creative writing site that matches beautiful images with carefully selected keywords in order to inspire you. The object is to put the right words in the right place and the right order to capture the essence, story, meaning of the picture or a prayerful experience. Permission to use the image received 5/5/2013 by Terry Friedlander, founder. Using online resources for writing can assist students express emotions and thoughts. The online drawing sites for prayer below were originally blogged by Richard Byrne, the developer of Free Technology for Teachers. 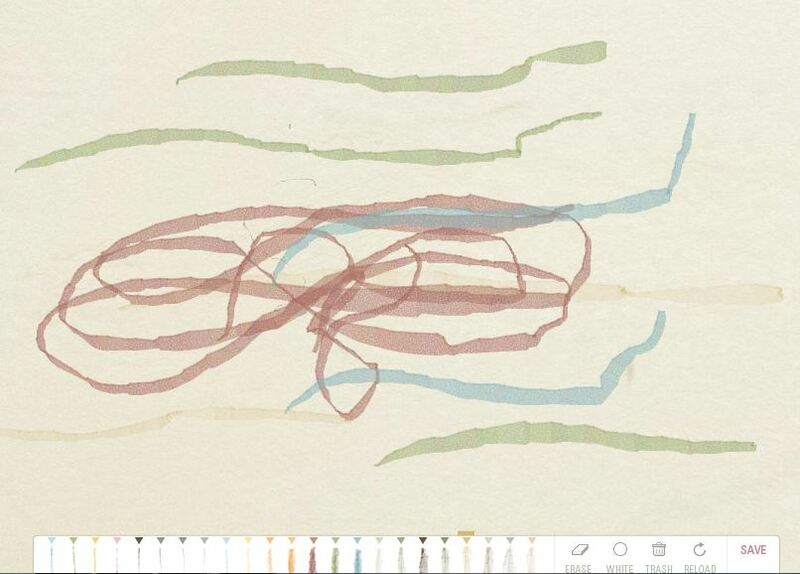 Sketchpad is a free online drawing tablet. No log in or registration is required and all of the drawing tools that you would expect to find like brushes, pencils, and a large range of colors are offered by Sketchpad. 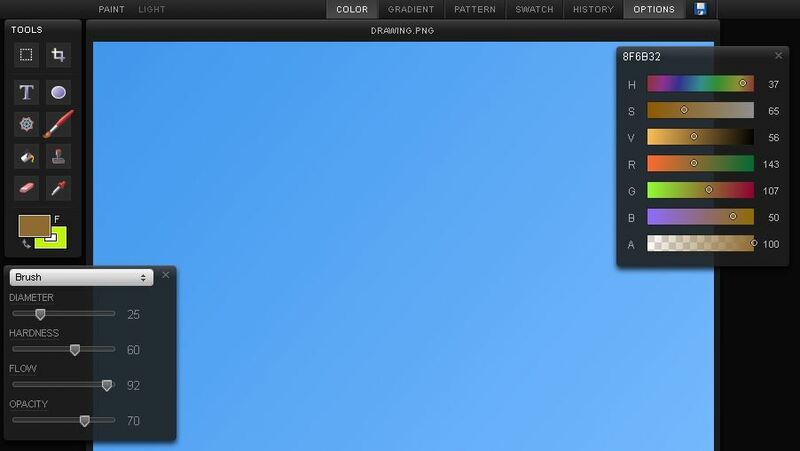 Artpad and Sketchpad "are both blank slate drawing utilities. 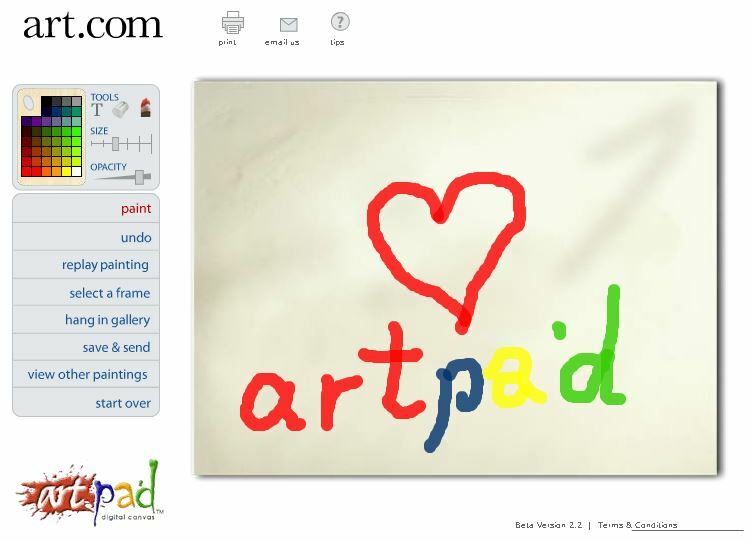 Art Pad and Sketch Pad allow users to select from a variety of drawing tools and painting tools. Art Pad has a neat playback feature that shows you the steps you took in creating your images. Both Art Pad and Sketch Pad allow you to share your drawings via email or in a public gallery" (Richard Byrne, http://www.freetech4teachers.com). "Odosketch is a free online sketchpad that, like many similar sites, provides a blank canvas on which you can create drawings from scratch. You can save your work to a free Odosketch account, share it online, or download it. Odosketch's niche appears to be creating drawings with "charcoal pencil" effects. Odosketch is well suited to use on touch screen computers and interactive whiteboards" (Richard Byrne, http://www.freetech4teachers.com). Draw It Live is a free application that allows you to work together with other people to draw in real time. You simply create a whiteboard and share its URL to allow other people to join in. No password is required, and no special plugins are required. This is a beautiful site. The primary purpose of this ministry is to bring glory, honor, and praises to “Him Who sits on the throne, and unto the Lamb”. The web site developer hopes that the music that is provided for free on the site will inspire people worldwide to spend time in prayer and in fellowship with our Wonderful Creator. A sample has been embedded below. Permission to use image received 20/5/2013 by Ron via email. 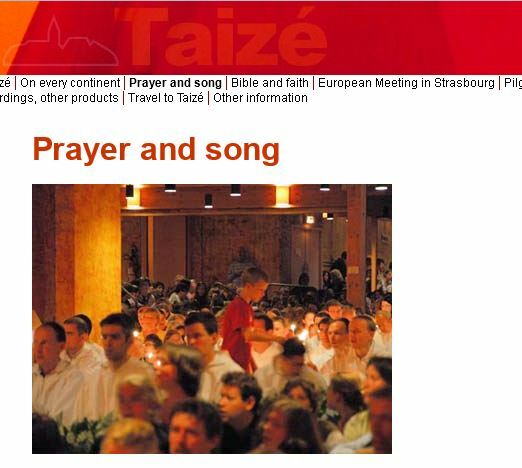 The Taize community created this web site on prayer to share with the world. 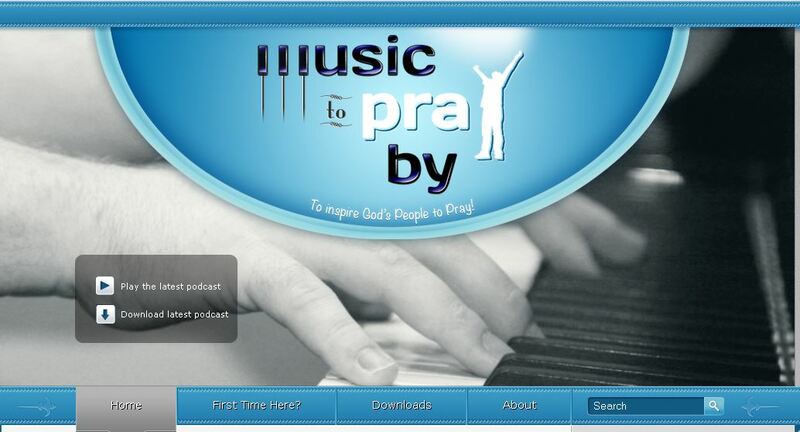 There are songs in MP3 format of Podcasts which can be accessed on this site. Permission to use the image received 21/5/2013 from Brother Christoph via email. Animoto is simple and easy to use. 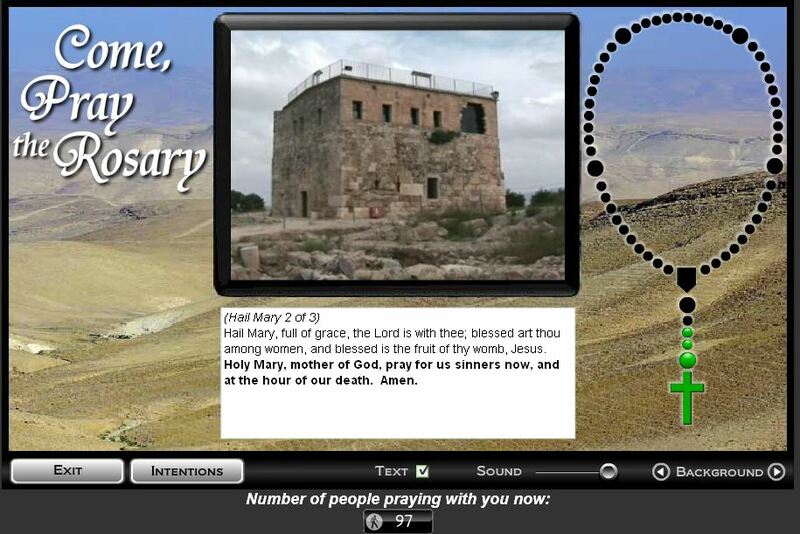 Students can upload images, select music and create a video stye prayer for free. Animoto will only allow you to create 30 second videos for free. Below is an example of my (Joanne's) year 3 students prayer with colour after reading about Mary and Martha (Luke 10). Taggalaxy.de is a tool which creates a planetary collection of images as a result of key words entered. When you click on the word in the centre, a globe populates with pictures from flickr. If you click on an image twice it will bring up information about the photographer and provide a link to their flickr page. An image can not be uploaded due to copyright restrictions. Music is important to many teenagers. This video clip invites students to ask questions about how they can make a change and pray. This video clip invites students to ask questions and consider what they can pray for..."Pray for one day that we will open our eyes, to live as one and for our sins". (the stupid things that we have done).